A Field Mixer and More. 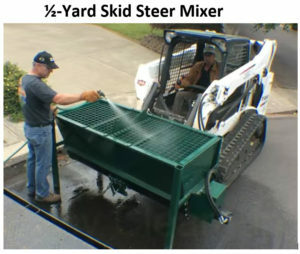 The Concrete MD is a versatile mixer with a unique discharge feature. 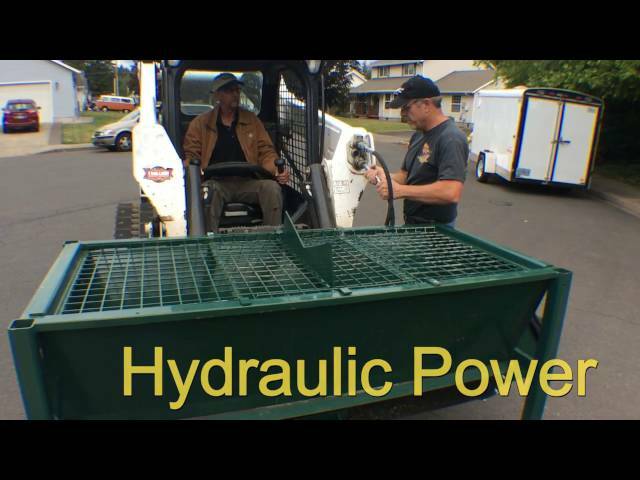 This mixer allows you to mix and deliver great concrete through a 6” tube. 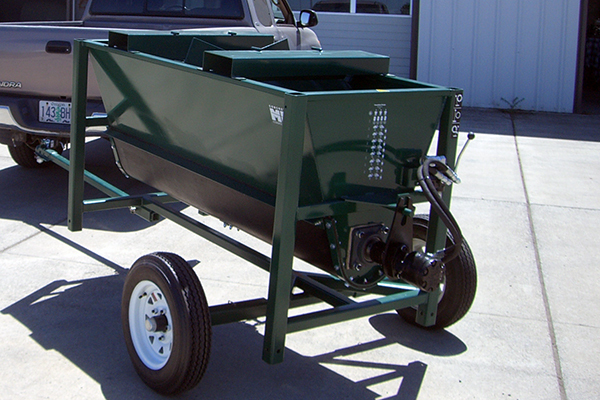 This portable concrete mixer can either be mounted to a tractor or set-up on its legs for concrete batching. The mixing action comes from a dual-directional blending auger in the bottom of a rubber trough. The auger spins in two directions and can be reversed to re-blend the mix. Once the mixing is complete you simply open the bottom door and the tube dispenses your materials in a 6” area. The Concrete MD is designed to make quality concrete in some of the most remote and demanding places on earth. 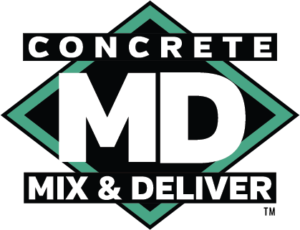 Just choose the options that fit your needs and cure your concrete problems with the Concrete MD. Quality Concrete even with Shovels and Buckets. 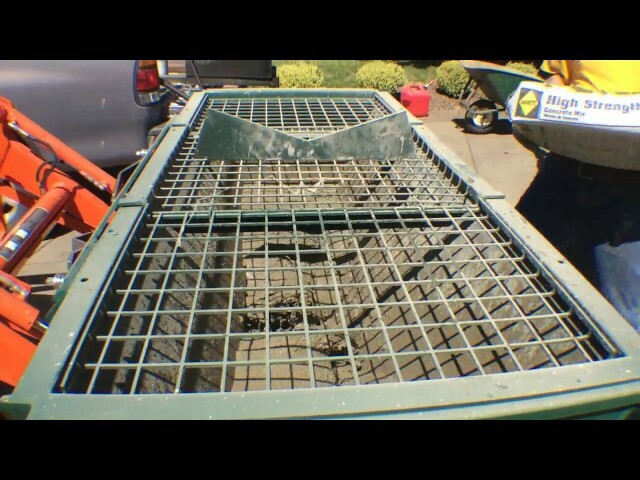 By using simple recipes and consistent measuring, the Cart-Away Concrete M.D. (mixing ditch) will produce up to 1/2-yard batches of quality concrete, in even the most remote villages. And the mixer will work faster and produce better concrete than any other manual process. 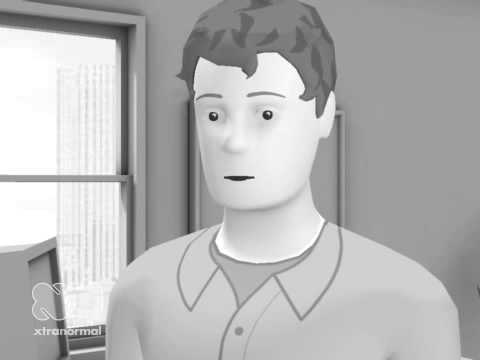 The Concrete M.D. fits nicely into the common concrete production methods of the local workers. 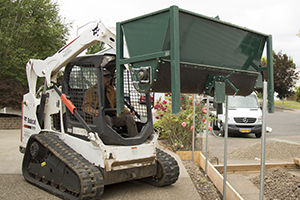 Their shovels will load the raw materials into the batch-boxes and their buckets will work for transporting the wet concrete to the forms. The 6” dispensing tube at the bottom of the mixing chamber allows workers to rapidly pour wet concrete directly into buckets or wheelbarrows for transport to the forms. A simple door controls the flow between bucket loads. The Block MD cures the problem of blending dry powdery materials by using an aggressive mixing auger design. The paddle design mixes through very dry materials and blends the recipe well. Measured batches of raw materials and cement are joined by water in the mixing chamber before going into the hydraulic block press. 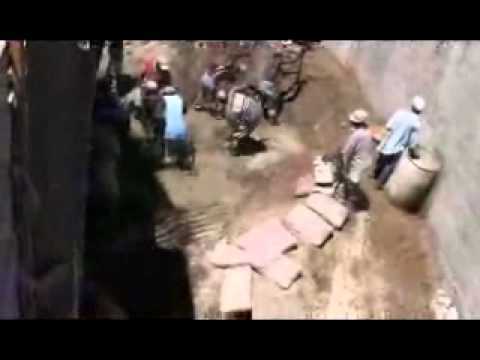 Quality block production can be accomplished with the MD and local unskilled labor. The highly portable MD allows blocks to be produced in remote locations. Well mixed block recipes can be used for building much faster than before. They reach full strength and become water resistant after a 28-day cure period. 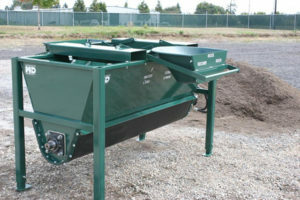 Cart-Away Concrete Systems, Inc is the world leader in creating small concrete batching solutions. We have adapted one of our proven mixing processes to build a mechanical version of the mixing ditch to solve the concrete issues in the poorest countries of the world. This unit produces consistent mixes from a unique, yet simple batching process. 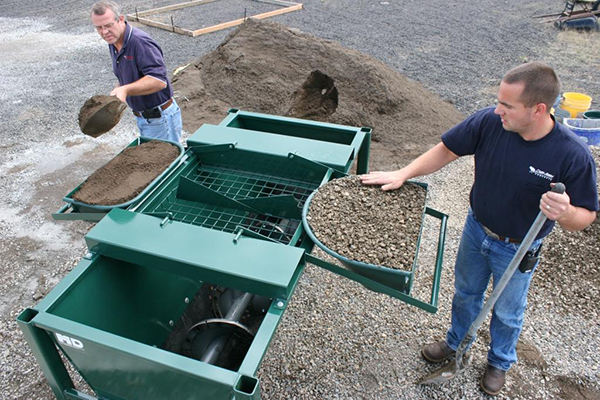 Using an engine-powered hydraulic system; the counter-rotating auger can replicate and improve upon the action of several shovels blending the raw materials at the same time. The difference is that there is a consistency of mixture that shovels cannot produce. Concrete needs uniform blending in order to produce a strong mixture. A skid-mounted portable concrete mixer - the Concrete MD (Mix & Deliver). Has a dual-direction blending auger and can do 20 bags of ready-mix. To sustain the earth's limited raw materials we must produce good concrete. The poor mix cement on the ground using shovels. The Concrete MD is a sustainable mixing technology that helps the poorest builders to produce strong concrete. Traditional concrete mixing is done with shovels on the ground. 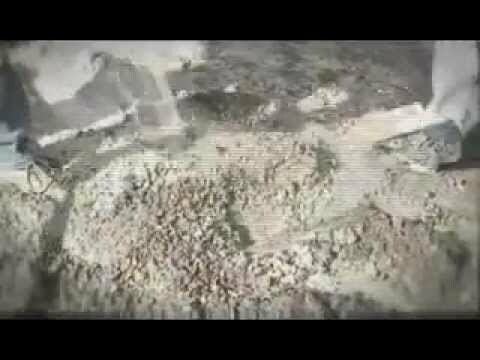 This practice causes concrete to fail in developing countries. The concrete Supply chain needs good mixing for good concrete. 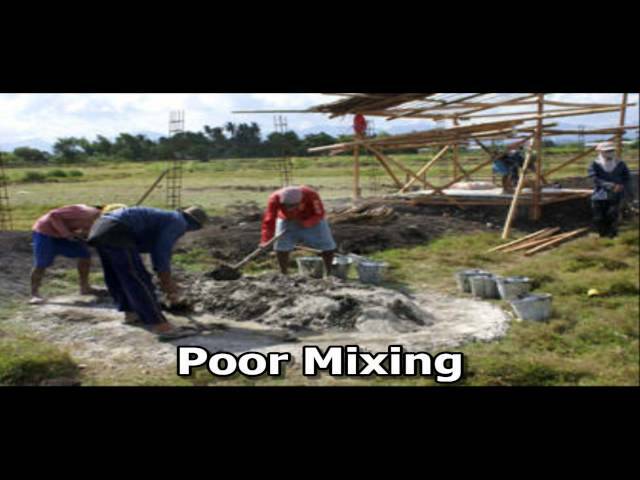 Mixing concrete on the ground is a failed process of cement mixing. Developing nations still use this practice and it must be stopped. Concrete mixing requires a good concrete mixer. 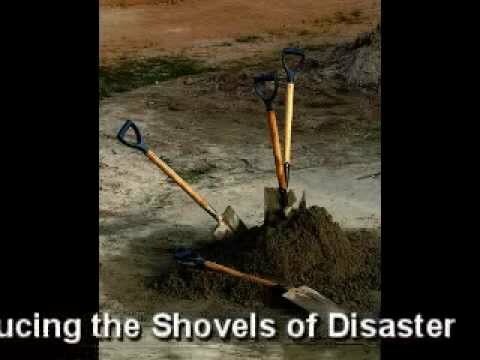 Shovels mixing concrete on the ground - the Disaster Recipe! In the poorest nations of the world the concrete is produced using shovels on the ground. CementTrust is drawing attention to the disastrous results of this practice. 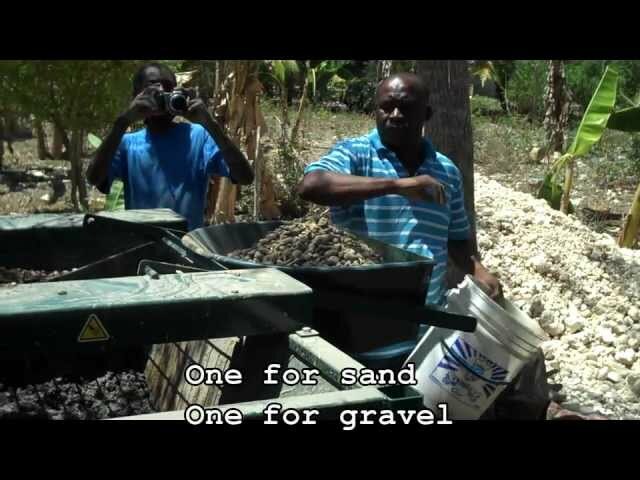 CementTrust has linked Cart-Away and ACTECH to create a new rubble crusher for the Haiti reconstruction efforts. Prototyping is underway at the ACTECH facility in Vancouver Washington. 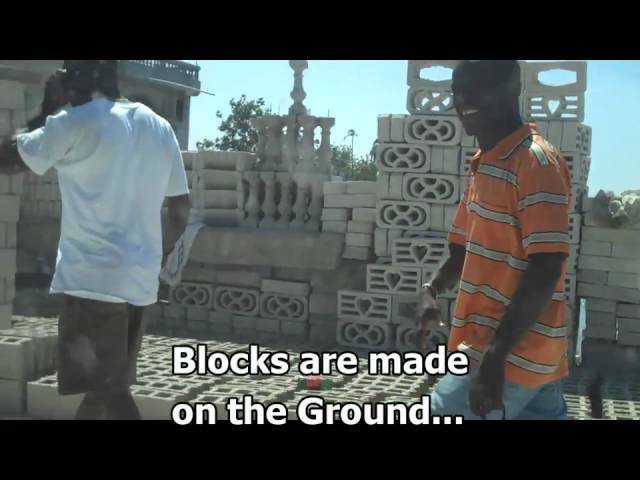 Concrete block production in Haiti uses poor methods and materials. CementTrust is attempting to change this practice with better mixing technology and block forming equipment. A cement mixer designed for Haiti. Making concrete mixers that take the shovels off from the ground. 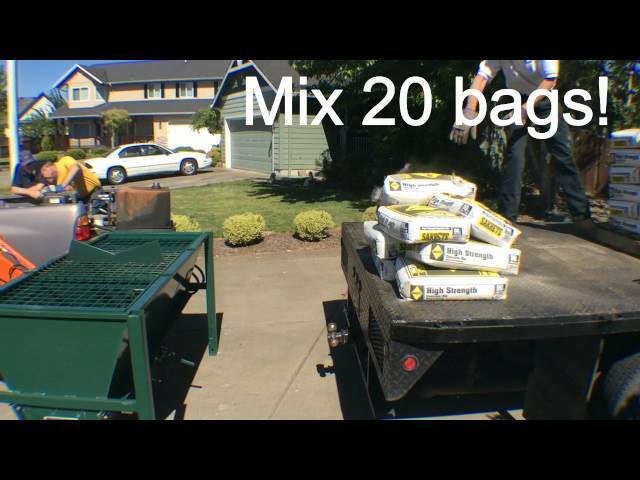 How to unpack and set up a portable concrete mixer called the concrete MD. These cement mixers ship stacked two high. We are trying to help rebuild Haiti. But if we don't help them to make better concrete, they will not have a strong foundation. This is our newest concrete mixer built for developing countries. 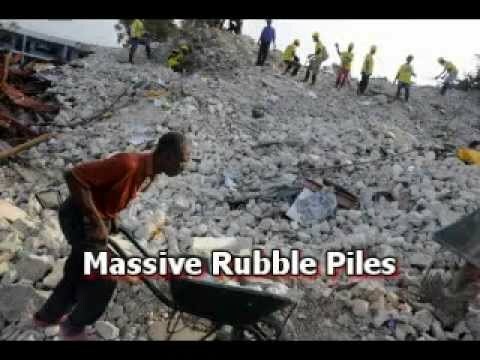 History has shown, as seen recently in Haiti, that developing countries are mixing concrete on the ground with shovels. This method of mixing concrete is not consistent and produces weak concrete. This new machine has batch boxes and a recipe right on the mixing chamber to insure consistent strong concrete. 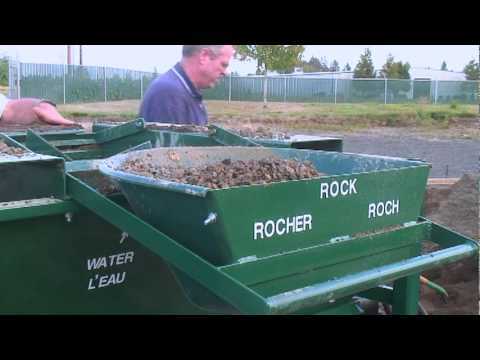 It also discharges into either a bucket, wheelbarrow, or right into the forms. When you need a small mixer with big features you need the Concrete MD. Let us build you a mixer that will work in the most demanding conditions.